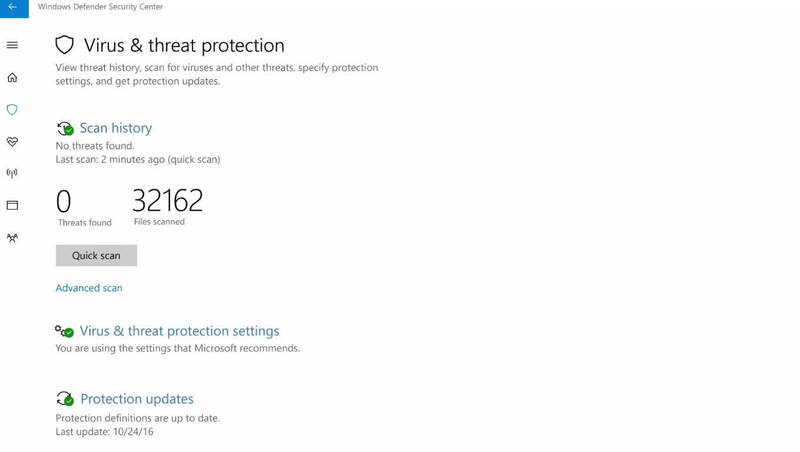 Introducing Windows Defender Security Center. With comprehensive, built-in security features, Windows 10 provides protection from viruses and malware threats including ransomware, safer authentication with Windows Hello using your smile or fingerprint to login. 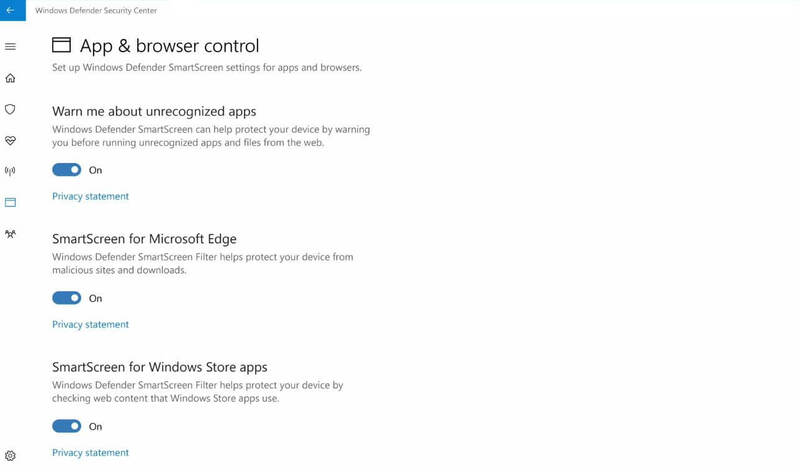 In the Windows 10 Creators Update, we will introduce a new experience called the Windows Defender Security Center to make it is easier for you to view and control the security protections you choose and better understand the security features already protecting you on your Windows 10 device. Windows Insiders can explore this experience now under All Apps in the Start Menu and provide feedback through the Insider Feedback hub. 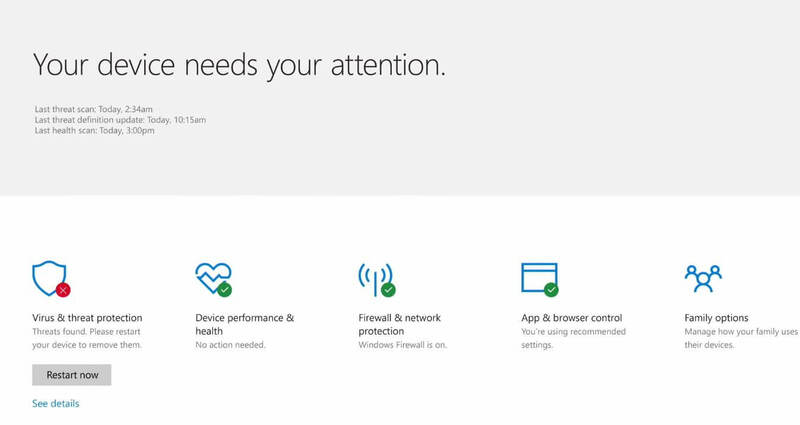 The Windows Defender Security Center includes five main features for control and visibility of your device security, health and online safety experiences. Virus & threat protection provides a new view of your antivirus protection whether it’s Windows Defender Antivirus that comes free with Windows 10 or AV software from one of our partners. 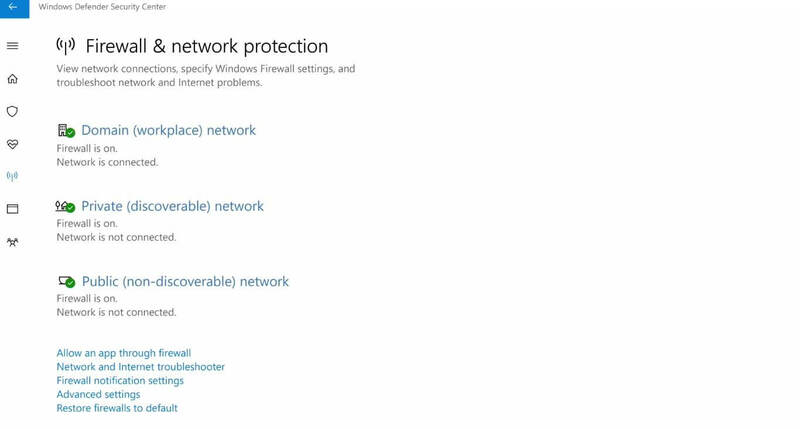 If you’ve chosen Windows Defender Antivirus, your scan results and threat history will be displayed here, or you will be able to launch your 3rd party AV protection app directly from this screen. 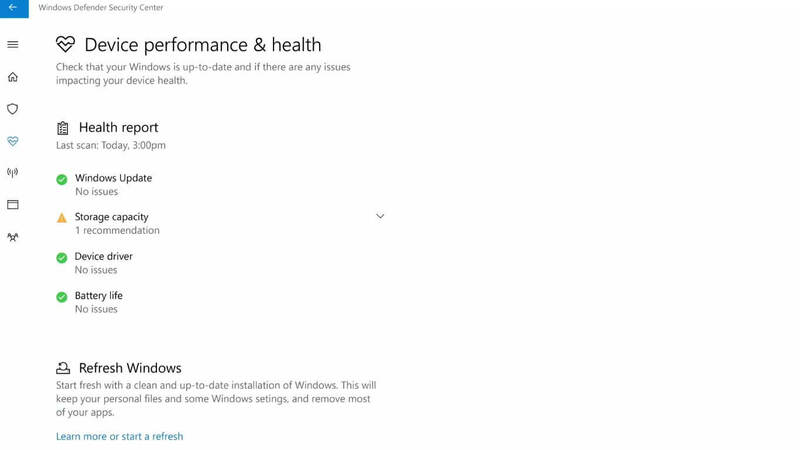 Device performance & health provides a single view of your latest Windows updates, drivers, battery life and storage capacity. Additionally, you have the option to start fresh with a clean install of Windows using the Refresh Windows feature. This option will keep your personal files and some Windows settings, and remove most of your apps for a fresh start. 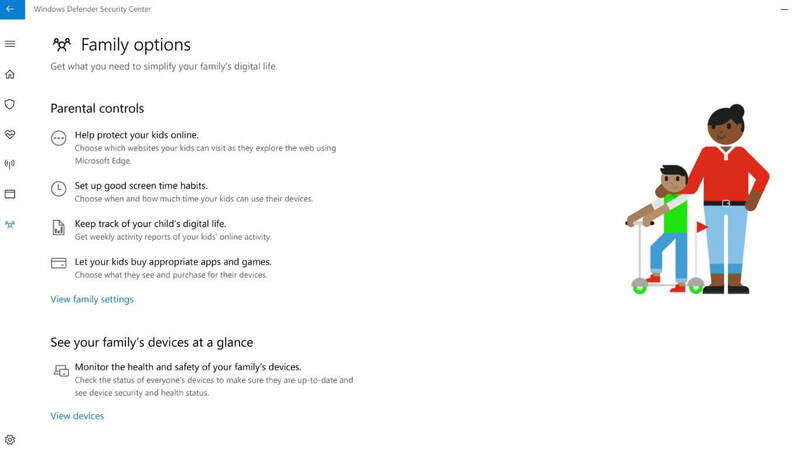 Family options This page can link you to information about parental controls, options for setting up good screen time habits, setting up activity reports of your kids’ online activity and managing controls for purchasing apps and games. You can also view the health and safety of your family’s devices from this centralized location. If your subscription or paid antivirus software should expire, Windows Defender Antivirus will kick in to provide protection by default until you take further action. Finally, it is important to ensure that you are in control of your PC.